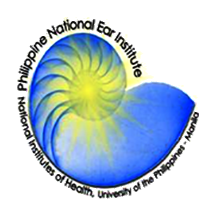 Created in 2001, the Philippine National Ear Institute intends to be at the forefront in undertaking epidemiological investigation related to disorders of hearing, balance and their related functions. It will pursue researches dealing with the preventive, curative and rehabilitative aspects of diseases and/or disabilities that may result from malfunctions of the ear and its related organs. With its vision of "No Filipino shall be deprived of a functioning sense of hearing and balance". PNEI shall provide for an environment for comprehensive and integrated studies on hearing, balance and communicative disorders relevant to Philippine conditions in support of the research and development mission of the University of the Philippines through the National Institutes of Health. To perform such other functions and duties as may be assigned by the Board of Regents which are consistent with and not otherwise contrary to the provisions of the Act. Identification of Genes that Predispose to Chronic Otitis Media in the Ati population of Bolabog, Boracay Island, Philippines. Application of Video Head Impulse Test (VHIT) in Patients Diagnosed with Superior Semicircular Canal Dehiscence. The Application of Video Head Impulse Test (VHIT) in Patients with Acoustic Neuroma. Terms of Collaboration: The Ear Unit serves as the training environment of the Consultants of Philippine National Ear Institute as trainors for the Resident Physicians.